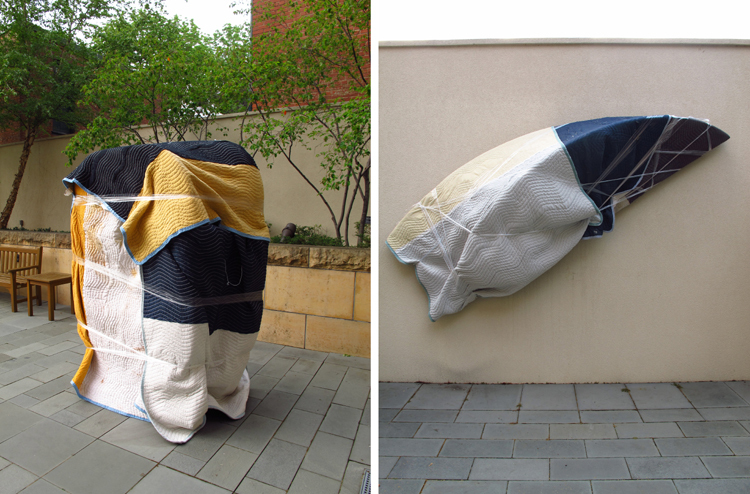 Our courtyard sculptures, Barbara Hepworth’s Dual Form, 1965 (left) and Ellsworth Kelly’s Untitled (EK 927), 2005 (right) get covered in protective wrappings to protect them while the space is transformed for an elegant reception for our annual gala which takes place tomorrow, May 4. This entry was posted in Experiment Station and tagged Gala, hepworth, Kelley, sculpture. Bookmark the permalink.